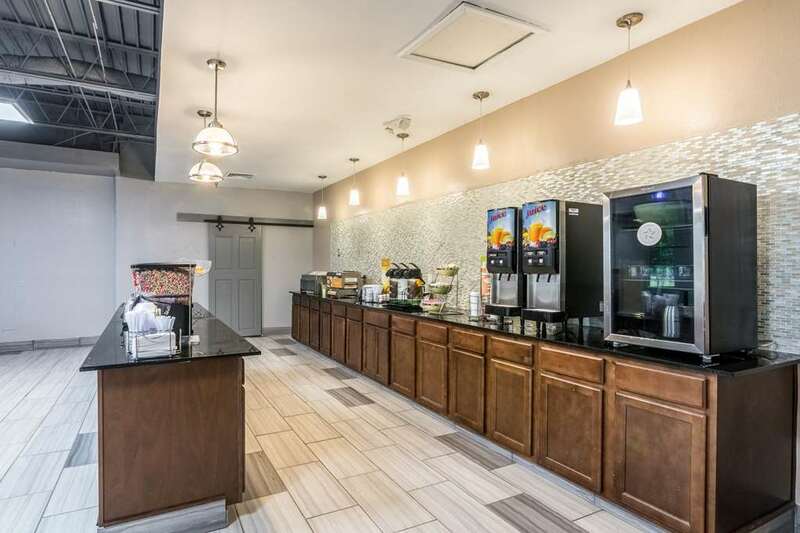 Get more value for your hard-earned money at the Quality Inn and Suites University area hotel in Pensacola, FL near Cordova Mall. We are located off Interstate 10, offering convenience to the relaxing white sands of Pensacola Beach, the excitement of Five Flags Speedway and the history of the Pensacola Naval Aviation Museum. There are several shops and restaurants within walking distance. Amenities include free hot breakfast, free WiFi, a business center and an outdoor pool. Relax in your guest room with amenities like a coffee maker, hair dryer, iron and ironing board. Some rooms feature a desk. Earn rewards with every stay with our Choice Privileges Rewards program.